Nice venue and pub type fare. 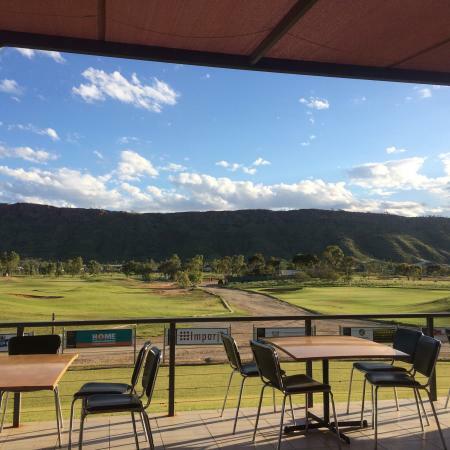 Enjoy watching the sunset over the green of the golf course and the distant MacDonnell Ranges from the outside balcony dining area, perfect on a cooler summer evening. With good food and drink selections. A fun Club atmosphere on a Friday night with background music. A stunning setting and delightful layout but there maintenance needs to improve. The greens are good but some of the fairways were dusty and rough. Very friendly staff and a good pro shop. The hire clubs were OK.
A great place to eat with a family. Small playground for the kids to play in and a very nice outlook across the golf course toward the hills to the south. Great restaurant for a non golfer! Worth searching out if you fancy a good meal in very pleasant surroundings. Excellent restaurant and bar with dining terrace overlooking the links. As with most places Australian, very hospitable and friendly service. Good value restaurant meals with a nice variety of dishes to choose from. Went two nights in a row and both nights were fantastic. We ate here 3 times, all our meals without exception were excellent value, well cooked and tasty. Maybe not the most salubrious place, but friendly staff, good food and service. What more could you want ? Upgrades plus plus since last visit. Dinner still a good feed! No time for golf BUT family dinner was good value for money, Service fair and meals tasty and kids loved the outside playground. 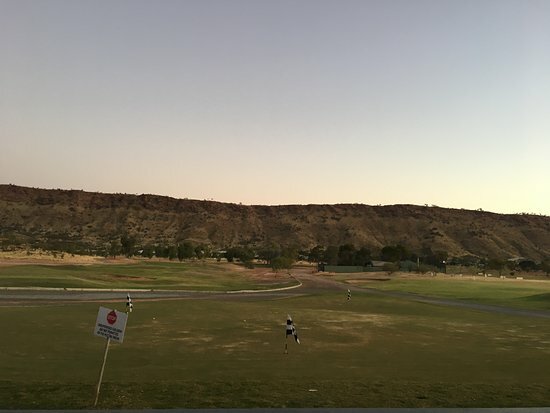 Get quick answers from Alice Springs Golf Club staff and past visitors.